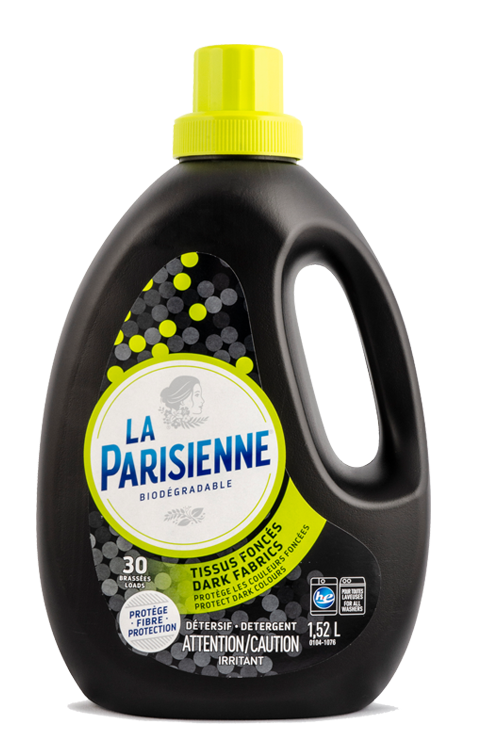 La Parisienne detergent DARK FABRICS makes it possible to wash clothes in black or dark colour safely by reviving, restoring and maintaining the original appearance of coloured clothes. Thanks to its fiber protection formula, La Parisienne detergent effectively cleans while preserving the fibers to extend its life. The Parisienne DARK FABRIC is used safely in all types of fabrics. Detergent specially formulated to clean black or dark colored clothing while preserving fibers.